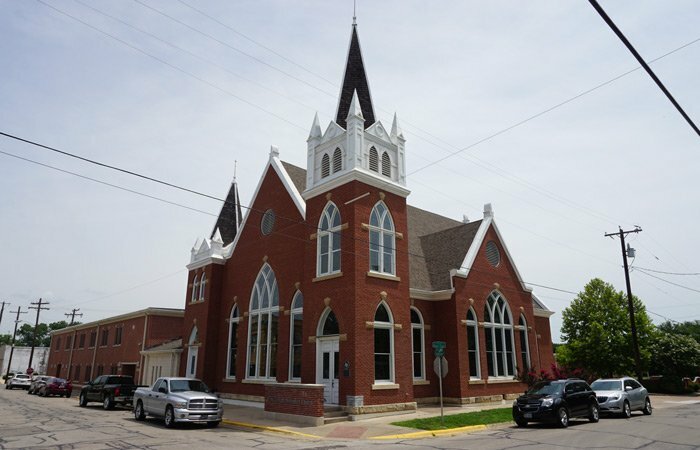 The historic home district is adjacent to the courthouse square and worthy of a drive to see the homes and the churches built in the late 1800’s and early 1900’s. Gainesville was an important “cow-town” following the Civil War with local cattlemen having holdings as far west as the Panhandle. Cotton and farming were also king, and when the Santa Fe railroad connected the north-south rail line from Fort Worth to Chicago through Gainesville in 1887 the wealth created was a further catalyst for the building of our magnificent homes. 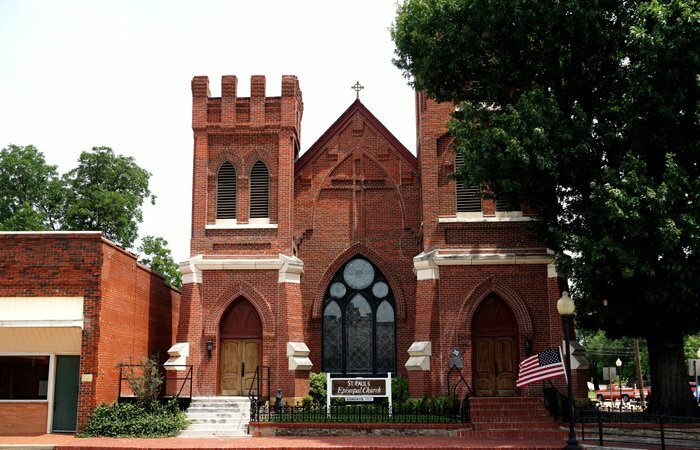 Of note are Church, South Denton, and Lindsay Streets. The Morton Museum, located in the historic downtown, is a great starting point for additional information about our homes, our Santa Fe Depot (which housed a Harvey House) and our history. Visit their website HERE. 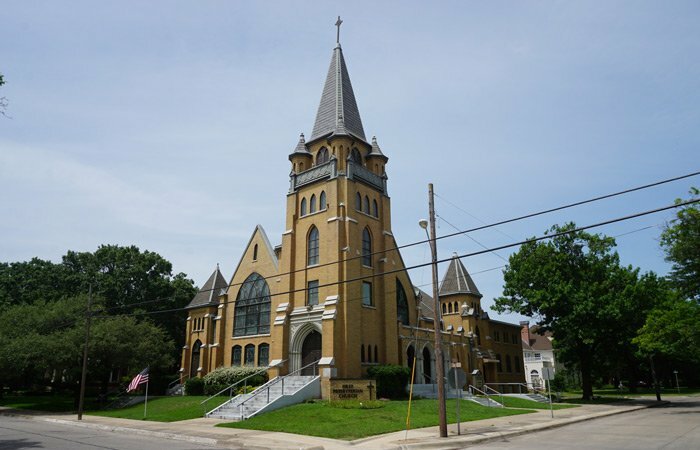 There are approximately 60 churches in Gainesville Texas with a few notable historic churches nearby you may want to visit while in town. Sanctuary has large panels of stained glass. Notable are the church bells that ring out hymns on the hour. Current building established 1912. Shop the historic downtown square with a wide variety of stores in Gainesville. 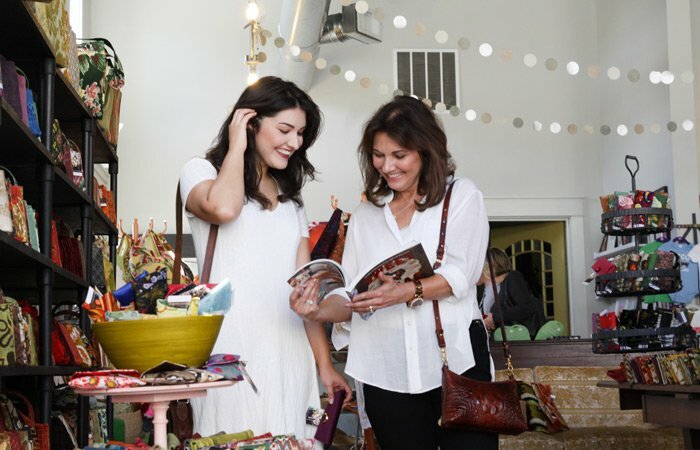 From one of the oldest jewelry stores in Texas to antiques and more shopping is certainly historic! For young and old alike, the Frank Buck Zoo is a special place. 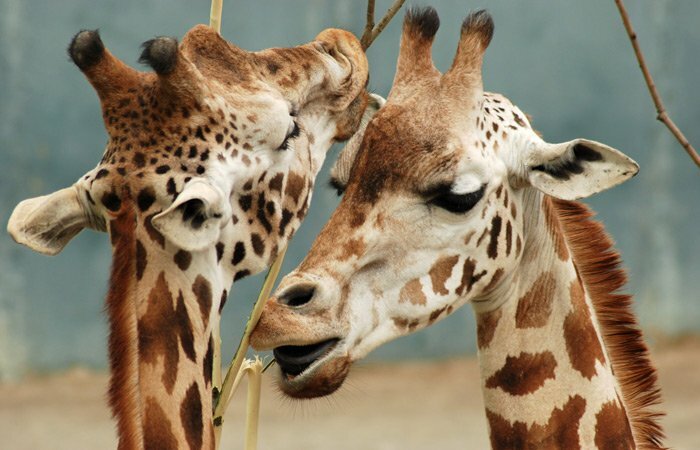 A one-mile walk, the zoo has an African safari where each day you can feed the giraffes. The zoo was founded when the Gainesville Community Circus closed in the 50’s as a place to host the animals. It was named for the 1930’s celebrity “bring them back alive”, Frank Buck, who was born in Gainesville. Since then it has expanded and been renovated to be a jewel of the city. Not only is there a zoo, but the park includes an aquatic center, a train ride and the most wonderful playground built by community volunteers. Visit their website HERE. Sarah’s on the Square and the Shady Lady are located just 11 miles from the WinStar Casino. If you are looking for a great dining experience before a concert or a private haven to stay overnight, be sure to include us in your travel plans. Who knows, we may just bring you some good luck! 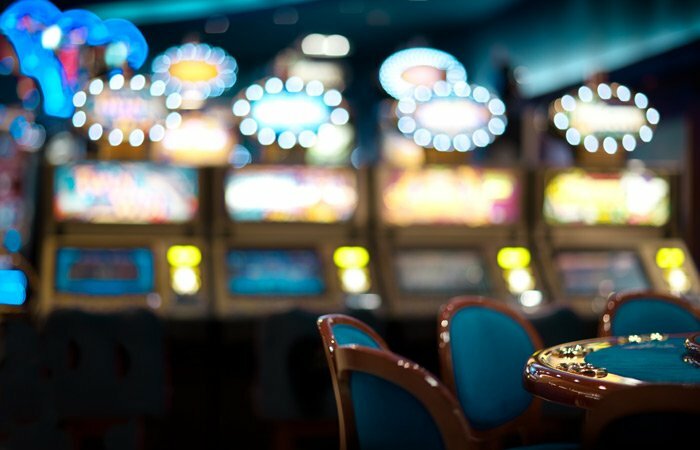 View the WinStar Casino website HERE. We have three world-class wineries nearby in the beautiful rolling hills of the Red River Valley. With tasting rooms and outdoor pavilions, we can’t think of a better way to spend an afternoon than visiting all three during your stay in Gainesville.